The Oppo Find X is the smartphone with the retractable camera standing the front and rear camera. JerryRigEverything is known for his brutal test on handset mainly the stress test. The result of Oppo Find X surprised JerryRigEverything: despite the destruction, the mechanical camera module still worked. Zack Nelson, the person behind the JerryRigEverything, is known for his adventures and his recent list includes Vivo Nex. Now he decided to run the stress test on Oppo Find X. 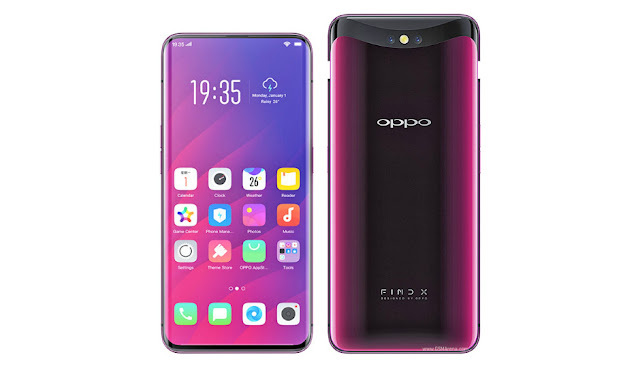 There is little difference between the Oppo Find Xand the other smart phones Nelson test, it comes with retractable camera module that houses both the front and rear-facing cameras along with a handful of different sensors. The idea behind the test is to know whether the smart phone had the courage to face the ultimate mechanical damages that can occur in the long use. The video clearly shows that the Selfie Expert of handset industry give the much more attention to hide the device’s camera rather than improving the mechanical strength against various shocks. The experiment very easily gets to the result because Nelson was able to bend the Oppo Find X using no machines but his hands. And within seconds the display turns into scattered pieces of glass. The test unfolded many flaws as there is no internal reinforcement other than the device’s aluminum frame. Nelson shows there is nothing like real structural integrity separating the battery from the motherboard, it should come as no surprise that the handset bend in half so easily. Benefit of the stress test shown at the time when Nelson after breaking the back glass very easily gives us look at the retractable camera module working. A single stepper motor done all the heavy lifting like in the Vivo Nex. But this video shows that a single motor is not enough to reinforceOppo Find X camera module. The bonus includes enough room when the camera array open which hints that the camera can easily be effected or even damaged in future. The effect is way that it could let the pieces of debris enter the system. Another thing, in case of damage on the camera module, user would face lose access to all the phone’s previous sensors. Comes to the safety precautions, if you ever wish to get an Oppo Find X it would be smart choice to put a case on the smart phone and take it to back pocket. Soothing is the sense that the camera array remain safe during most of the structural damages but it is still to decide that how long will it go after a heavy repeated use. Wait n Watch!